In addition to our preseason rankings, The Eighth Man staff will be releasing a series of articles focusing on the top 10 club teams and top 10 collegiate teams. Each article will be written by two members of the staff, one who believes the team will live up to or exceed expectations and one who thinks they will come up short. 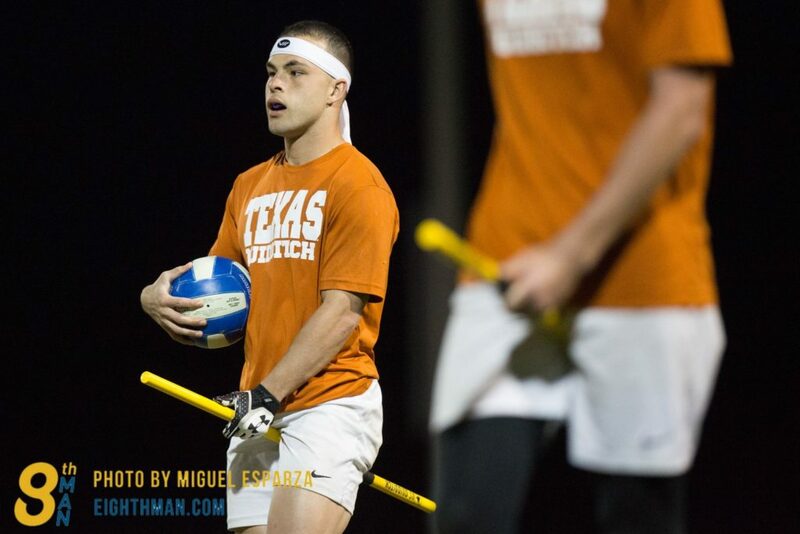 As the most decorated college program in quidditch history, the University of Texas finds itself in a major rebuilding year. With the loss of USNT’s Nick Marino and Hallie Pace (departing in the spring), Eddie Molina and Erin McBride, Texas will lose their biggest fear inducers. The departure of their best two beaters and their top two scorers will be a huge blow and, as of now, there are no current replacements that have proven as effective. With a handful of colleges returning most of their rosters from last season, Texas will be a few steps behind. Kicking off the season at No. 2 means the Longhorns of 2018-19 will will have big shoes to fill if they’re going to live up to expectations. That beings said, you can never count Texas out. Between Simon Arends coaching Texas and the regular scrimmages they have against No. 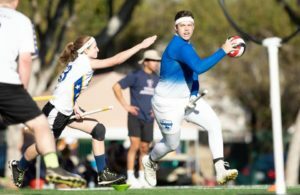 1-ranked club team Texas Cavalry, Texas is equipped with the best resources and alumni—essentially staff—in the quidditch world. But even with an all-star coaching staff and weekly scrimmages against the current club-division defending champions, Texas will have their hands full with the current competition. Texas does, however, have a solid core of players to build from. Josh Anderson and Taylor “Tate” Kay are coming off a great MLQ season with the Austin Outlaws and will be looking to continue to ride that momentum. With Dylan Bottoms, Joey Castellano, David Huber and Aidan Parsi returning in the chaser line, it will be interesting to see who takes over the major ball-handling role that Marino has left open. With good role players returning, Texas will continue to be a good team. But as of right now, they do not have any “wow” factors and are lacking a proven on-field leader that will carry them to No. 2. Development of beating depth will be a particularly tall task for Texas in 2018-19. With Kay headlining the new beater corps, the team will need to develop more all-star level beaters to relieve him. Likely partnering with Kylie McBride, the two will need to quickly build cohesiveness in order to compete with other more-experienced standard sets. Besides Kay and McBride, there are no other proven beaters on Texas at the moment, and the Longhorns are going to need several beaters to step up and make a name for if they want to compete with other, deeper rotations. This will be a challenging season for the Longhorns, full of filling open voids, finding new on-field leaders and adapting to a new playstyle. Expect them to start off the season rocky but develop into a contender by April. It would be naive for anyone to count out such a prestigious program with attentive alumni and such large recruitment classes. However, coming in at No. 2 in April will be a tall task during a rebuilding year. In 2013, fresh off their first title, University of Texas was hit hard by graduation. The remaining male chasers had played few minutes at World Cup VI; their entire beater corps graduated, as well as their starting seeker. The Longhorns lost seven quaffle players, including four future USNT members. Yet all of this turnover didn’t stop the Longhorns. They merely shrugged, recruited four more future USNT members and went on their way to a championship. Such is the level of talent with which the Longhorns are blessed. 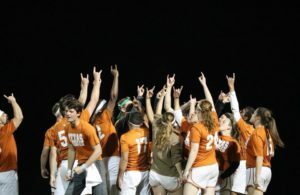 The situation may be different now—that team had Augustine Monroe as keeper and last year’s Longhorns did not actually win a title. Comparatively, though, these Longhorns did not lose as much either. Texas will miss the physicality of USNT chaser Nick Marino but chaser Aidan Parsi was just as effective, physical and explosive at nationals as Marino. USNT beaters Hallie Pace (departing in the spring) and her beating partner Eddie Molina leave big shoes to fill, but behind them UT’s beating line remains largely intact. When superstars leave a college program, too much talk is thrown around about the gap they leave and not enough thought is given to the question of whether all of the returning players combined can fill it. Maybe we won’t see a UT chaser as skilled as Marino this season. So what? UT’s quaffle game dominated the path to the finals not with Marino alone, but with the combined physicality of quaffle players like Parsi, Dylan Bottoms and John Anderson, whose teamwork on double teams made UT one of the hardest to drive against last season. And all of those players are returning. Yes, Molina led one of the most dominant snitch-on-pitch beating units in college quidditch, yet Tate Kay and Kylie McBride had an incredible 2017-18 season and can reach that same level with another year of practice. No two players exemplify why this team will succeed more than Kay and Anderson. Kay was an electric presence for the Longhorns last year and during snitch-on-pitch play, partnered with Molina as much as Pace did. Kay excelled in his role, and the very small drop-off in talent between Molina and Kay ensured that Texas had one of the deepest beating squads in the game. Moreover, for the Austin Outlaws, Kay quickly became a star beater, coming second only to Jackson Johnson in face-offs won and turnovers forced during the 2018 MLQ Championship. Although Anderson was not as conspicuous on the Outlaws’ roster behind the talented keeper rotation of Monroe and Joshua Andrews, his role in UT’s success last season was impossible to miss. A skilled distributor, driver and wing, Anderson was all over the pitch scoring from drives, shots and using his height to make impossible off-ball matchups. He anchored this team by not only consistently making plays but also by having the endurance to play long minutes. Anderson was in upwards of three-quarters of the seeker floor by himself during Day Two of US Quidditch Cup 11. The most important part of the story, however, goes beyond just the skills of Anderson and Kay. Both of these players played on UT’s B-team, Austin Quidditch, the prior season. Kay even played the 2016-17 season as a chaser. In a single year, UT’s program was able to develop one of MLQ’s best college beaters in Kay and one of USQ’s most versatile ball carriers in Anderson. Top college programs pick up skilled players every year. However, the more specialized positions of snitch-on-pitch beater and primary ball carrier are probably the most difficult ones to fill at a top level. Most teams, even those who make deep runs at nationals, go year-to-year without finding either one. Not only did UT manage to fill both roles in a single year from their B-team, but the Longhorns will see both players back on the pitch this season. And they are not alone. Texas returns not only Kay and Anderson, but also their entire chaser line save Marino, Austin Dickson and Erin McBride, while also adding players from two seasons ago that missed last year due to injury. Add that to fact that seekers David Huber and Joey Castellano both return, and much of Texas’s depth remains intact. To be fair, there are significant weaknesses. UT’s SWIM of three out of nine games last year is a very troubling statistic, and if the Longhorns truly want to be in contention for a title, they cannot ignore this glaring issue. They absolutely need to develop their seekers’ moves to the point where they can end a game quickly and efficiently if they want a chance at winning. 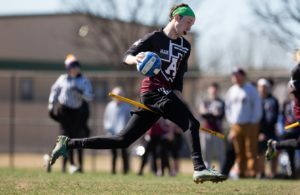 If they can do that, combined with 14 returning players all improving and several stars from Austin Quidditch, it will be more than enough to compensate for their losses—given that they were 10 points away from a championship last season. 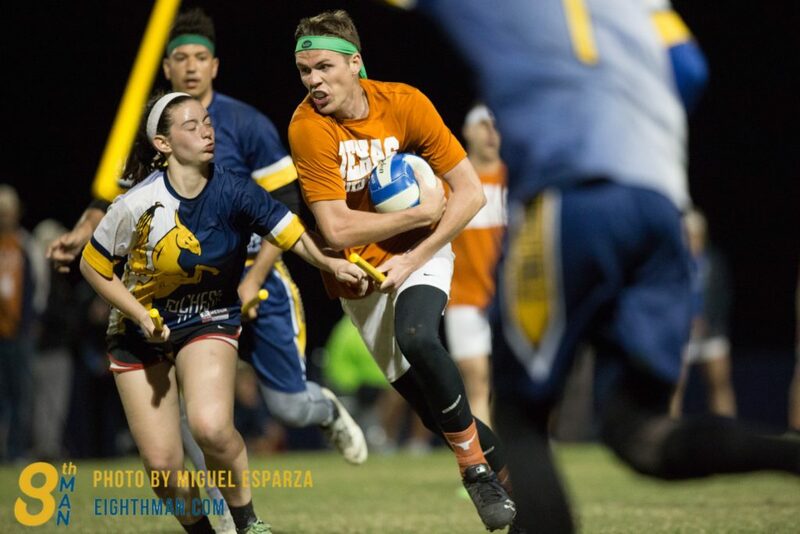 With other college teams’ chasing corps depleted by graduation or missing leaders on offense, and no college team except Texas State retaining elite beaters, expect these Longhorns in the finals of US Quidditch Cup 12, where they will be favorites to win their fourth title.